Call 888-491-9726 for a free consultation with a recognized leader in personal injury and construction accident litigation. You can also contact us online to discuss the details of your case. 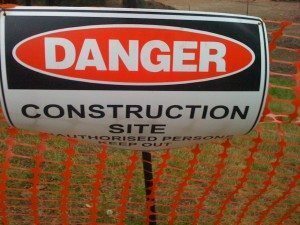 Construction accidents often present the most complicated type of personal injury claims. It is not always easy to figure out who is liable for jobsite injuries. Many large construction projects involve multiple contractors and subcontractors, each of whom may claim they are not at fault. For example, consider a case where a construction worker is injured due to a defective tool on the jobsite. In one such recent case, an ironworker injured by a defective fastening tool sued the manufacturer of the device, the company that sold it, and the general contractor for the construction project itself. The worker, in turn, was employed by one of general contractor’s subcontractors. The distinction between general contractor and subcontractor is often critical. Under Massachusetts law, a general contractor is only liable for workplace injuries of this sort when it retains “meaningful supervisory control” of the subcontractor’s work, such as when a foreman oversees the entire jobsite. Whether such meaningful supervisory control existed depends on the particular facts of each case. Here, the general contractor moved for summary judgment, asking basically for a declaration that the “undisputed facts” proved it did not exercise supervisory control over the subcontractor. The judge denied this motion. He said the victim presented enough evidence for a jury to conclude the general contractor retained at least “minimal” control over the subcontractor’s actions, notably with respect to worker safety, and could therefore be held liable for the plaintiff’s injuries. For instance, there was evidence the general contractor’s managers “were actively on-site conducting walkthroughs, safety talks, and safety briefings.” One manager said he had the authority “to order a subcontractor to either refrain or continue or alter the work that was being performed.” The judge also cited the general contractor’s agreement with its customer – the University of Massachusetts at Amherst – which expressly stated the contractor had “sole responsibility” for “maintaining and supervising all safety precautions and programs in connection” with the project. As you can see, construction accidents can raise complicated issues of both fact and law. If you have been injured on a construction site, either due to negligent safety precautions or defective equipment, you need to have lawyers on your side who have experience investigating such accidents and handling personal injury claims from start to finish. The Boston personal injury attorneys at Thornton Law Firm, LLP, are happy to speak with you about your case. Call us today at (888) 491-9726 to schedule a free consultation. or tell us your story online.